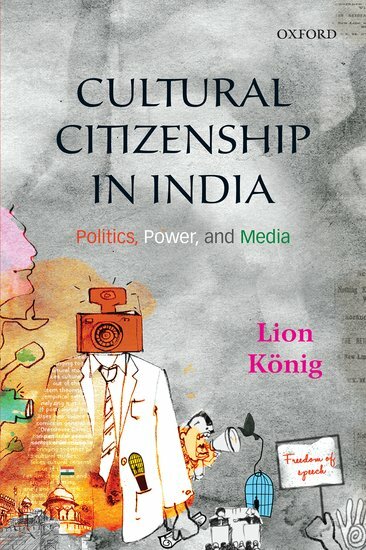 My new book Cultural Citizenship in India: Politics, Power, and Media (Oxford University Press, 2016) analyses the role which cultural participation, understood in terms of media representation, plays for citizenship. Drawing on the hypothesis of Mitra (2012), that citizenship is a two-dimensional concept, comprising of a legal right to the soil and a moral affiliation to it, the book explores the question of the ways in which people ‘belong’ to a nation as citizens. Based on the assumption that the nation is an imagined community created through discourse (Anderson, 1983), the moral side of citizenship is understood in cultural terms, and in analogy to the two-dimensional model noted above, is explored in terms of the rights and duties granted to groups and the ways in which citizens can access and alter the mediated discourse through which the idea of the nation and those included in and excluded from it is expressed. ‘Belonging’ is the dependent variable here, the variation in which is explained in terms of active media use, representation, and the place the citizen occupies in the mediated national narrative. ‘Cultural citizenship’, therefore, is understood here as a media-based concept which assumes that full membership of a society can only be achieved if citizens are able to access and alter the media narrative that underpins the idea of the nation. It is an extension of the rights-based paradigm that acknowledges constitutional recognition of cultural diversity along the parameters of language, religion, ethnicity, and gender by highlighting the discursive element in which questions of majority and minority can play out in different ways and constitutional principles can be negotiated and re-negotiated, thus making a discussion of the already existing cultural practices possible, and also allowing for their development and modification. Censorship is closely linked to cultural citizenship as a media concept and is one of the central variables of the book. It is considered as the instrument to control and restrict the discursive sphere in which citizennessis negotiated. From a normative viewpoint, cultural citizenship can best be achieved if the state balances rights of cultural expression with selective censorship to protect weaker sections of society. In its theoretical-methodological approach, the book puts strong emphasis on an interdisciplinary research framework. As a contribution to political theory, the work argues for the need to bring political science and cultural studies into a much more intensive dialogue in order to arrive at a holistic understanding of the role of culture in politics, and offer fresh perspectives on pressing socio-political issues, drawing on new source material. Arguing against the positivist paradigm which has for a long time dominated political science, and which finds expression in the very label of the discipline, the book calls for an alternative self-understanding of the discipline as a ‘soft political science’ or ‘political studies’, which is sensitive to context, and employs identity, memory, and time as analytical variables. The change in perspective is substantiated by the book’s combination of qualitative and quantitative research methodology: opinion surveys are linked to historical records, qualitative interviews, and comic strips, to show the importance of context in which citizenship discourses unfold. Rejecting the positivist understanding of the relative immutability of concepts, Cultural Citizenship in India suggests an understanding of citizenship, cultural citizenship and censorship as the outcomes of cultural and conceptual flow, thus contributing to an enhanced understanding of the evolution of those ideas. Because of the respective emphasis on power and discourse in political science and cultural studies, the idea of ‘flow’ can enhance each individual approach to effectively study the power of discourse. ‘Flow’ is operationalized by breaking it up into different analytical units. In this context, the volume draws a distinction between ‘conceptual flow’, ‘policy flow’, and ‘institutional flow.’ Flow can occur between different geographical areas and historical eras (inter-area/era), as well as within one geographical and historical context (intra-area/era), and, both on a micro-level of individuals, or on the macro-level of states or governments, and it can be conditional or unconditional. Discussing the concept of ‘flow’ and analysing its various manifestations helps to highlight the role of structure and agency, thus making the case for understanding cultural tropes in terms of political science categories, and bringing together both the non-linearity and non-universality of social science concepts. Based on this understanding of flow, a case is being made for citizenship as a Western concept, travelling across the globe, and being shaped and re-shaped throughout the centuries. The ancient Athenian polis is used as the starting point of the conceptual evolution of citizenship. Against the background of the contrasting case of the Maurya Empire which ruled the Indian subcontinent of the time, it is argued that citizenship as a bundle of rights and duties is closely connected to a Republican polity. While Roman citizenship, as the second important constitutive case in antiquity has been informed by the Athenian precedent, it has also added the idea of a common citizenship binding diverse peoples unconnected by language or history, thus making the earliest case for the citizen as someone outside the confines of the city, a member of an imagined community. All the ancient examples, different as they may be, show that citizenship is never static but has a discursive character. Modes of belonging to the polity were often called into question and negotiated in the realm of performative culture, for example in festivals and drama. From these ancient forms of citizenship, the work moves on to discuss the theories of citizenship of Enlightenment thinkers, such as John Locke, Charles de Montesquieu and Jean-Jacques Rousseau. It was in their theories that the individual was singled out as the constitutive unit of citizenship – a conceptualisation which was later followed by John Stuart Mill and T.H. Marshall. The Indian example is used to contrast this seemingly linear development and underline the hybrid nature of citizenship. While the Indian Republic has adopted many constitutional features of Western democracies, it has also acknowledged the specificity of context, inscribing into the Constitution cultural rights and duties not only for individuals, but also for groups. 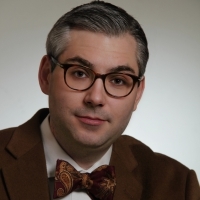 India thus already has what modern-day theorists of citizenship in the West, such as Will Kymlicka, promote: recognition of cultural communities as groups. While Western citizenship theory moves from the individual to the group, the understanding of citizenship in India moves in the opposite direction. Many of those citizens identified by their group claim their status and recognition as individuals, again, highlighting the non-universality of the concept. India has granted cultural rights and duties to different religious, ethnic, and linguistic groups, thereby ensuring national cohesion. However, the record is much more mixed with regard to the second important dimension of cultural citizenship, the representation in the media discourse. Drawing on the example of the controversy around the removal of a scholarly text on the cultural plurality of the Hindu epic Ramayana from the Delhi University teaching syllabus due to Hindu nationalist pressure and protests opposing that move, the importance of discursive plurality in a democratic citizenship regime is illustrated with reference to unofficial censorship as a tool to control and monopolise the mediated discourse. The example of comics created by non-elite sections of society highlights issues of marginalisation and presents an alternative reading of a Hinduized India. Comics become a reaction to the power of the unofficial censor and testify to the value assigned to media expression in constituting and re-constituting the citizen. The contribution of Cultural Citizenship in India: Politics, Power, and Media is twofold. On a theoretical level, by paying close attention to the ‘flows’ that link politics and culture, it shows mutual dependency. On an empirical level, the book demonstrates how culture and different media feed into the process of citizen-making, thereby shining a light on the discursive space in which the processes of inclusion and exclusion take place. Lion Koenig is a Post-Doctoral Researcher at the Department of Politics and International Relations, the University of Oxford. Prior to that, he has taught at Jawaharlal Nehru University and Jamia Millia Islamia, New Delhi, and has held Visiting Fellowships at the Institute for Defence Studies and Analyses (IDSA), the Centre de Sciences Humaines (CSH), and the Institute of Social Sciences (ISS) in New Delhi. His research interests include nation-building, citizenship and identity politics, as well as political communication in the South Asian context. Among his recent publications are Cultural Citizenship in India: Politics, Power, and Media (Oxford University Press, 2016), and the co-edited volumes Politics of the ‘Other’ in India and China: Western Concepts in Non-Western Contexts (Routledge, 2016), and Globalisation and Governance in India: New Challenges to Society and Institutions (Routledge, 2016).